← Online Fiction Class Starts January 25 | Last Chance to Sign Up! 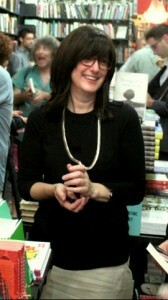 Suri Rosen is the author of the YA novel, Playing with Matches, published by ECW Press in 2014. This is Suri’s debut novel in which Raina Resnick, a 16-year-old transplant to her aunt’s home in Toronto, grapples with her past, her rocky relationship with her older sister, and her budding gift as a matchmaker. The book is available from Amazon.com. The Whole Megillah (TWM): What inspired you to write this book? Suri Rosen (SR): A thought flew into my head as I sat on the couch with my teenage daughter one Friday night. What would happen if there was a renowned anonymous Internet matchmaker with legendary matchmaking superpowers? And what if no one had any idea that this matchmaker was just an 11th grade high school student! The possibilities just seemed so awesome. TWM: Who came up with the title and how? SR: I can’t take credit for the brilliant title. I have a friend who is a wild genius who decided that the working title was a bit tame. He also plucked the chapter titles out of each chapter. TWM: Please talk about your writing process. SR: For this book I came up with crazy scenarios – a date gone wrong – a wedding proposal gone wrong – a senior’s party gone wrong. (Do we detect a pattern here? As in, how awesome is WRONG!) And I put those scenes together in a story of a girl who needs to survive a year in exile in order to return to her beloved Manhattan. I wanted her character to mature and grow as a result of her misdeeds. Ultimately she is an agent of her own change. My publisher, the fabulous ECW Press, helped me fine-tune the story into a tight structure. In general I tend to split my writing time between my freelance work and my fiction. Sometimes it’s strange going back and forth. But waiting to get back to the world of my imagination can be a great motivating factor in getting my deadlines done. TWM: Did you have to conduct any research for this book? What and how? SR: I actually did quite a bit of research for Playing with Matches. The greatest area was baseball. I’m not a Red Sox fan – I’m not even a baseball fan, so I had to familiarize myself with the team and the game. But as the story developed and Bubby’s role within it grew, I used more and more baseball moments as a language between her and Rain. The Sox also represented a symbolic sense of home for Rain, who had had an extremely transient childhood. (Plus, it was also a way to torture Rain when she was surrounded by Yankees-positive relatives.) A friend and beta-reader helped me find historic Red Sox moments to reinforce the narrative of the story at pivotal moments. I also did a lot of online research about dates gone bad, but didn’t end up using anything that I found. That’s because nothing was as crazy (and fun for me) as the scene in the park that I got to write when Rain fixes up her first couple. I also got help from my teenage daughter when it came to fashion and designers. Fashion is another language I don’t speak. TWM: What was your greatest satisfaction in writing this book? SR: Finishing it! It was a five-year project which is not obvious when you read it. I’m convinced that comedy is actually the most difficult genre to write. I’m gratified when readers tell me that they laughed and even more so when they tell me they cried. I love making people cry. TWM: What was your greatest challenge? SR: When I started writing the book, my head was bursting with ideas for fun scenes, jokes, and dialogue, while still maintaining a story arc that involved real character growth. But it was like accessorizing before you put on the clothes. I got to work with two outstanding editors and I came away with a fundamental understanding of how to structure a novel. Everything hangs on structure. TWM: Is there anything you wish you’d done differently? SR: Not really. It’s been a fabulous learning process that’s given me so much every step of the way. TWM: What one lesson would you share with aspiring novelists? SR: You generally hear about how important it is to read a lot and write a lot. I completely agree with that. I’d also add that to really grow as a writer, it’s important to get feedback along the way. Getting critiqued is going to recognize and then stop making the same mistakes over and over again. It’ll teach you to become a better writer. It’ll let you know what worked and what didn’t. It’s really one of the most important tools in developing your craft. It’s not always fun to receive feedback, but it can be the single most important factor in a writer’s path to improvement! 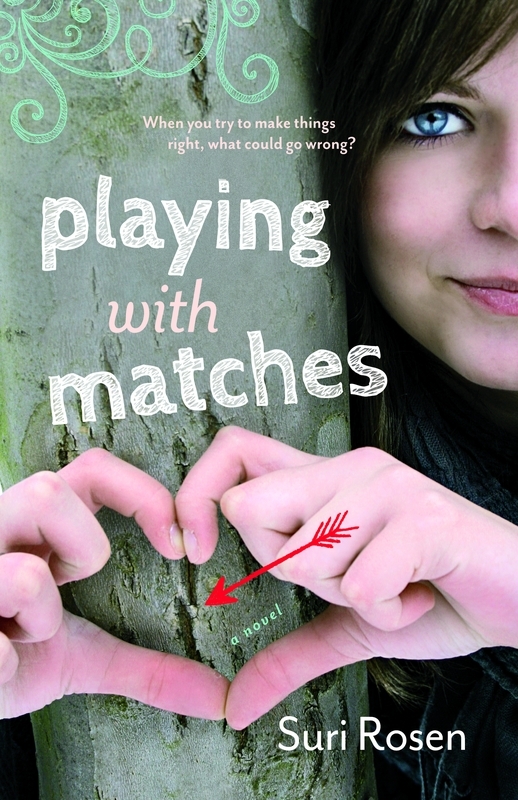 This entry was posted in Authors and tagged ecw press, Jewish YA, playing with matches, suri rosen. Bookmark the permalink. Awww. Thank you so much Sheila! And you got it – it’s definitely a universal story within a Jewish environment. I hope you enjoy it! Mazel tov, Suri. I love the title. Suri – I would have liked some practical info about ECW. Barb – another great, to the point, interview! ECW is an awesome Canadian press. Great interview! It sounds like a book my 13 yo daughter and I will read together. Yay! I hope you guys have fun with it!